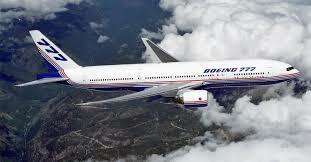 Boeing at cruising altitude; the world needs more planes! Boeing’s investment performance has been spectacular since the announcement, and subsequent investigations of battery fires in late 2012. The stock price marched from $70 to $140, achieving a rapid 16-month double. The opportunity in late 2012/early 2013 was outsized; it is rare to purchase a company as dominant as Boeing, in the early stages of a multi-year cycle at a severe discount to the market valuation. Today, the investment opportunity is less of a moon shot, but a good one nonetheless. Boeing continues to perform well across several important investment attributes; a combination of continued strong performance and above average visibility will keep the stock going. A link to BA’s succinct 12-page earnings slide deck. 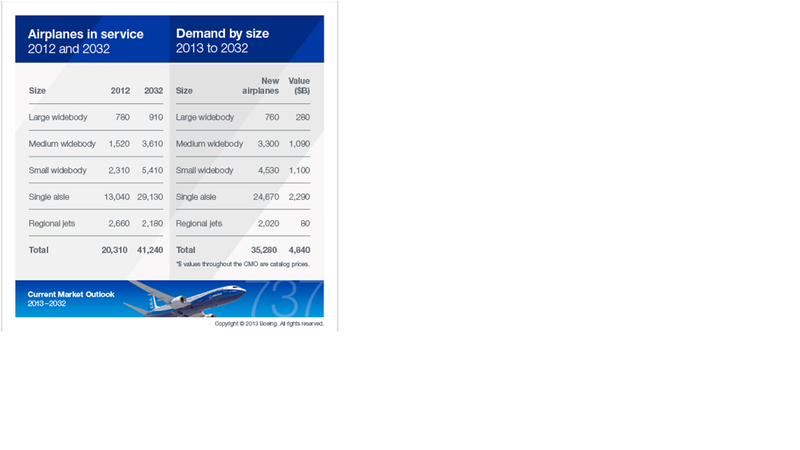 Global demand for planes will approach $5 trillion dollars over the next 20-years. BA is the dominant player with the best technology, the best product, and a massive backlog. Using round numbers, if Boeing captures 40% of this backlog, at an EBITDA margin of 11%, it amounts to incremental cash flow generation of $220 billion over 20-years. BA’s current market capitalization is $97 billion. Of course there will be considerable spending on CAPEX to maintain dominance and cash flows should be discounted appropriately, but the point remains that from a slight valuation premium to the market, BA stock is positioned to outperform based on the aviation cycle and well above market earnings/cash flow growth. 1) Valuation – BA trades at 16.8x next 12-month earnings relative to the S&P 500 at 15.5x. The 1.3 multiple premium (109%) is warranted, sustainable, and has the potential to expand. 2) Cycle – as presented above, the aviation cycle is firmly in BA’s favor for the next two-decades. 3) Partnering for Success – BA’s program of partnering with suppliers is more than extracting an ounce of flesh from each supplier on cost. BA’s key survivors are experiencing surging profits and cash flows too (a natural place to look for additional investment) with stocks such as Precision Castparts (PCP), B/E Aeropsace (BEAV), Transdigm Group (TDG), and Hexcel (HXL) all experience very strong results. The fact that Boeing, and its suppliers, are thriving in tandem provides validity to Partnering for Success as an overall initiative. 4) Efficiency gains – like most stocks in the S&P 500, Boeing has a multi-year program in place to cut costs, become more efficient, while optimizing labor and manufacturing on a global basis. Recent negotiations with unionized labor provide better visibility on costs over the next decade. 5) Capital allocation – BA is wisely front loading its capital allocation program to disproportionately allocate more of its cash flows and cash balance to share repurchase in the early part of the aviation cycle. This will accrue benefits to investors who remain involved for the long-term.